Add more sparkle and color to your outfit with this bright fuchsia and purple bracelet. 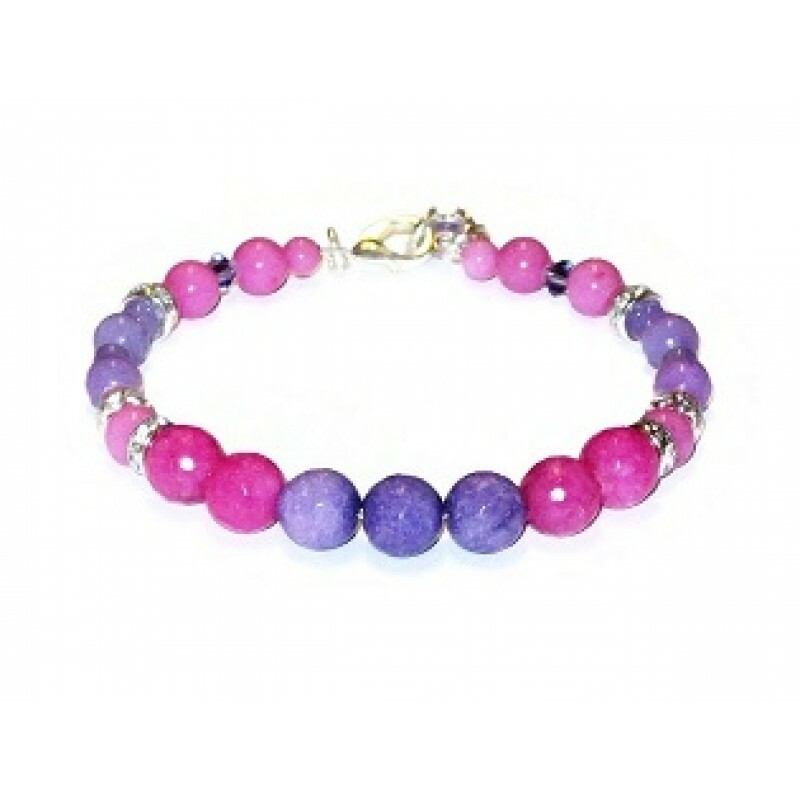 It is made on expandable wire and contains faceted and smooth jade beads as well as Swarovski crystals. It is finished with a silver-plated lobster clasp and has a short extender which allows you to adjusted it from 6 3/4 to 7 1/2 inches.